Posted byadmin	 10. September 2014 1. 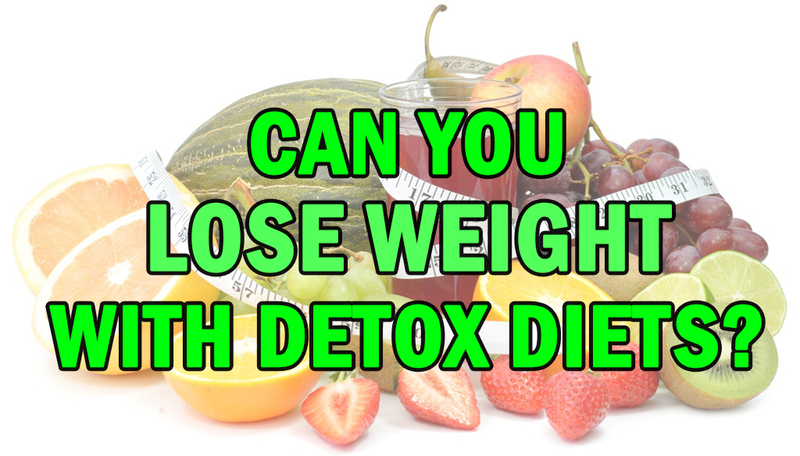 January 2015 Leave a comment on Can You Lose Weight With Detox Diets? You may have noticed one of the hottest weight loss trends going around lately is Detox diets. We see Hollywood celebs are doing it to drop weight fast for a premier or a red carpet event. You may recall Beyonce made the Master Cleanse Detox Formula famous when she dropped weight quickly for one of her movie roles.There has even been an onset of diet books published based solely on detoxing. You may have even had some friends try it and rave about the results. With all the hype around this latest craze it can make it tempting to want to give it a try. If you’re planning on trying it out for yourself you might want to consider some of the pros and cons of detoxing to see if it’s right for you. Detox (short for detoxification) diets are extreme weight loss diet plans that claim to flush toxic chemicals from your body and promote weight loss. Detoxing is based on the concept that your body needs help getting rid of unwanted toxins from contaminants in processed foods and the environment. So the theory is, once free of toxins, your body will function better and your metabolism will speed up and you can lose more weight. There are many different detox diets. Most of them follow a pattern of very low calorie fasting with the addition of small amounts of vegetables, fruits, water, and a mix of supplements. Some diets even recommend different forms of intestinal colon cleansing such as, pills, herbs, powders, enemas, ect. Dieters undergoing a detox are usually advised to cut out a wide range of “unhealthy” foods and supplement their diet with vitamin drinks. While the ingredients in these diets may vary, the marketing promise is usually the same: The promise that if you consume only these approved mixes and nothing else for a set period of time you will have amazing results. The idea is that you can flush out damaging toxins from your body, as these toxins leave your body (through increased bowel movements), you will feel so much better and even drop some pounds in the process. Despite the popularity of detox diets, nutrition experts say they are not only unnecessary but are not scientifically proven to work.The theory behind detox – that dangerous toxins build up in the body and remain in our bodies over time, causing health problems, and need to be removed. – was dismissed by most health experts. They insist that there is no such toxic build-up, and branded the industry “pseudo scientific”. Retorting that the body is a well-developed system that has its own built-in mechanisms to detoxify and remove any waste. Experts agree that there is little scientific evidence that detoxification is necessary or effective for good health or weight loss. They add that our body is designed to remove toxins efficiently with organs such as the kidneys, liver, and colon, naturally detoxifying the body constantly. Therefore concluding that we don’t need detox diets, or supplements to help our body do its job. Being that there is no credible science to support claims that detox diets work or that there’s any need for detoxification, they taut that Detox diets are merely based on unrealistic fears and dieters’ lack of understanding of how the body works. Reportedly there are no studies available to document the benefits. Instead, most claims are based on testimonials. Many experts feel that it’s simply the latest twist on your garden-variety starvation diet. Are There Dangers To Detoxing? Some detox plans sound like a very scientific approach to cleansing your body of harmful substances. Unfortunately, most detox diets lack the fundamentals that doctors, dietitians, and health authorities have proved to be essential for weight loss and good health. Added to that most detox diets are often done without the supervision of a doctor. Making traditional detox diets potentially dangerous. Since most if not all detox diets are based on an extremely low calorie intake many people are affected negatively. Most people don’t feel good on low-calorie, nutrient-poor diets. Potential side effects include low blood sugar, low energy, muscle aches, fatigue, dizziness, and nausea. Prolonged fasting can lead to more serious health problems. Fasting can really dehydrate you and deplete your body of potassium and other electrolytes. Colon cleanses are not recommended because they can alter your body’s electrolyte and fluid balance. Whether or not a detox diet is safe really depends on the plan and how long you stay on it. Fasts lasting a day or two probably wont be extremely harmful for most healthy adults. But high-risk people — the elderly, children, pregnant women, or anyone with a chronic disease,are advised against any type of fasting. Keep in mind that the initial weight lost on a fast is primarily fluid or “water weight” not fat. And when you go back to eating, any lost weight usually returns once you replace the lost fluids. Another reason weight loss occurs on most of these plans is because they are so low in calories,When you dramatically reduce your calorie intake, you will initially lose weight. However as you continue fasting, your body goes into conservation mode, burning calories more slowly.This is why these fad diet detox plans are usually considered to be a quick fix and not recommended for long term weight loss. Something else to consider is what happens once you’re off the detox. At some point, you will need to return to eating solid food, this shift will signal your body to cling to the sudden influx of calories, setting the stage for weight regain. Not only do most people regain the lost weight from a fast, they tend to add a few extra pounds because of their slower metabolism which makes it easier to gain. Ultimately, those who repeatedly fast and cleanse set themselves up for a life of yo-yo dieting, weight regain and the health problems that can come with it. Usually dieters end up in a worse place than where they started. So instead of a detox fast, opt for a healthy diet plan that you can stick with long-term. Healthy weight loss diets provide at least 1,200 to 1,500 calories per day and include a variety of fruits, vegetables, whole grains, lean protein, and healthy fats. Focus on getting more fluids and fiber and [limiting] alcohol, eating sensibly and drinking plenty of fluids can help the bodies’ natural cleansing system. This type of plan is not restrictive, satisfies hunger, can be followed long-term. These are considered some of the top natural detox foods: green leafy vegetables, lemons, green tea, watercress, broccoli sprouts, sesame seeds, cabbage, celery, and fruits. Minimally processed foods are healthy and nutrient-rich and contain fewer chemicals.Honestly for the vast majority of people, a sensible diet and regular physical activity really are the best ways to lose weight and feel better.